I-PLAY (Interactive Phonological Literacy Activities for Youngsters) is an innovative, collaborative effort aimed at improving the emerging literacy skills of preschool children. It has been explicitly designed to promote preschoolers’ phonological skills such as rhyming and recognising the sounds in words. These skills are key predictors of later reading success. In addition, specific phonological processing weaknesses can signal possible future reading difficulties such as dyslexia. All of the activities are interactive and game-like, using toys and pictures, with no print involved. Phonological processing is an important skill for learning to sound out and spell unfamiliar words. Phonological processing refers to the ability to identify and work with the sounds in language. Unlike phonics, phonological tasks do not require letters and can be done with your eyes closed! In the early stages, phonological skills include identifying how many words are in a sentence and identifying how many syllables are in a word. 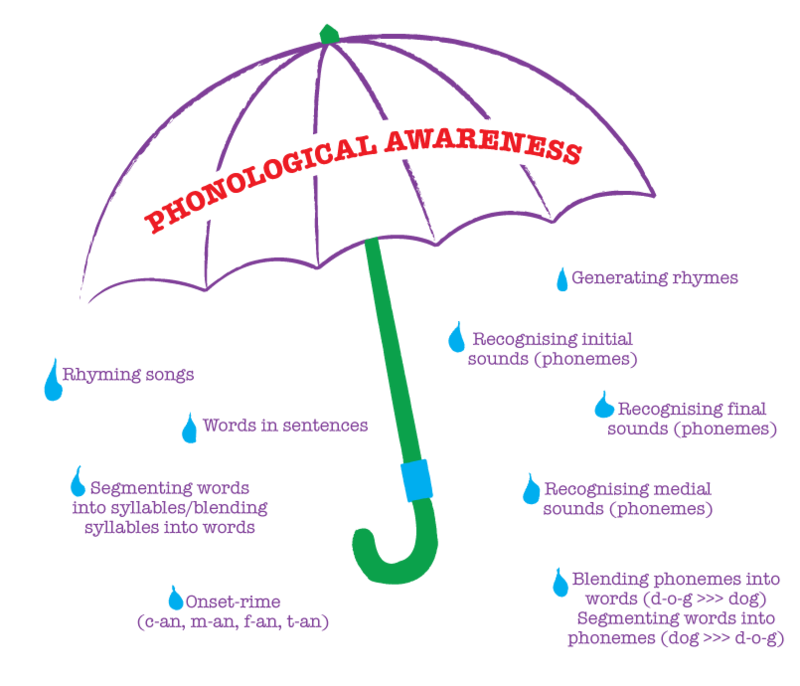 At a more advanced level, phonological tasks include isolating the beginning, final and medial sounds in words, breaking words into individual sounds and blending a series of sounds into a word. In the I-PLAY programme, we focus on phonological skills that are important at the preschool level. These include recognising rhyming words and identifying words that have the same beginning sound. All children enrolled in participating preschools receive a screening of their pre-literacy skills. For children who appear to need a boost in phonological skills, small groups are organised to provide extra exposure to sound-based activities. The children play games to enhance their listening, rhyming and sound identification skills.